November 1st will be the launch of my latest anthology collaboration – a piece for the animals! 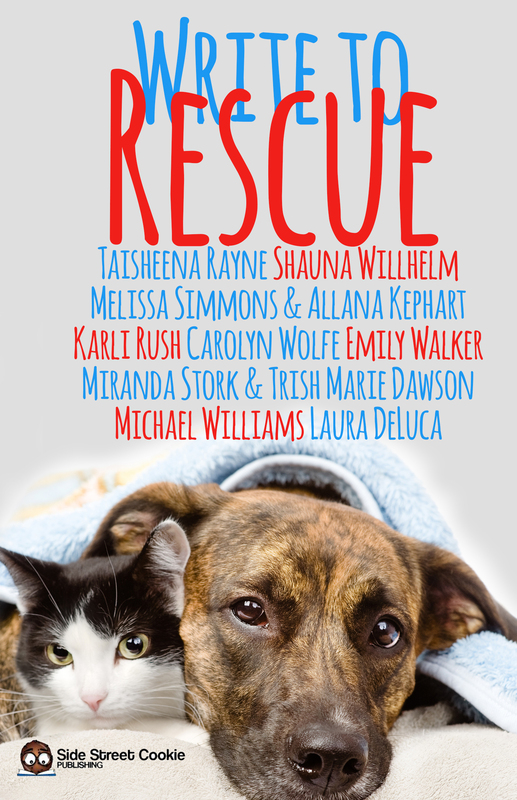 Y’all know I’m an avid animal lover and rights supporter, and I got to participate in a collaboration with other animal loving writers for a unique book about rescued animals. I am SO excited! I worked with the lovely Miranda Stork via Side Street Cookie Publishing on ‘A Tale of Two Kitties’; a funny and sarcastic interaction based on our real-life rescue kitty’s – Tinsel and River. We can’t wait to get this book out there, because #1 – it was fun to write, and #2 – the proceeds will be going to an animal rescue shelter in the UK and one based here in the States. So…mark your calendars for this release! I want to get some great funds to these organizations for all they do! While you wait for the 1st to roll around, check out the cover and give it a share, can ya? Thank you! Mwah! This looks adorbs. And if you and Mirry are collaborating, well, I’ve got to snap this one up on release day. Congrats! 😀 I can’t wait to read the whole thing! Read some great stories AND support shelter animals!